Make grooming easy, even if you experience limited dexterity or flexibility with the Lifestyle Brush from Drive Medical. The extra long handle ensures that you can brush your hair without the need to raise your hand or arm too high. And the anti-slip handle makes gripping the brush even easier. 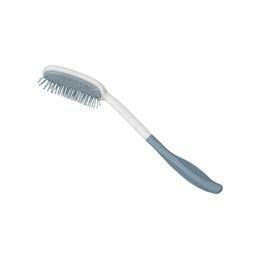 The brush can be fully submerged and is easy to clean.